The brothe­rs were killed by armed person­nel on first day of Eid in Shikar­pur. SHIKARPUR: Gunmen shot dead three Hindus in Shikarpur in a dispute over a dancing girl with a local Muslim tribe, officials said on Tuesday. The incident took place on Monday in Chak town near Shikarpur city, 400 kilometres north of Karachi, the capital of southern Sindh province. 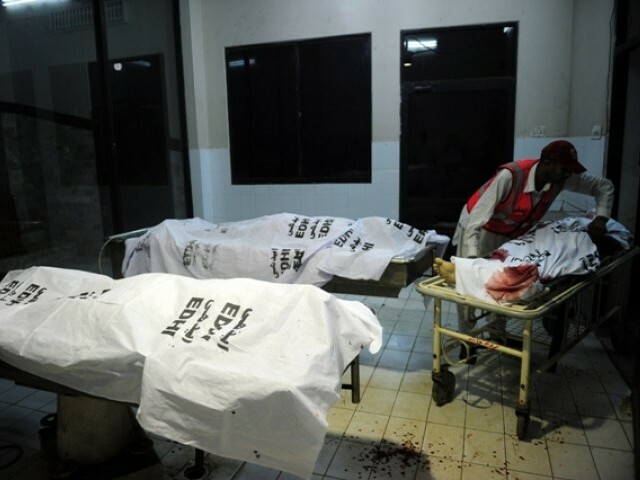 “Two men riding a motorbike opened fire at a clinic, killing three Hindu doctors and wounding a paramedic seriously,” Pakistan Hindu Council chief Ramesh Kumar told AFP. He said the dispute had erupted between the Hindu community and the local Baban Khan Bhayo tribe after local Hindu boys brought a Muslim dancing girl to the area. “Police raided the house where the girl was dancing and arrested four boys,” said Kumar. He said that the issue had been taken to the local assembly of elders to be resolved peacefully after the ongoing Eid holidays, but before that could happen the shooting took place, he said. Kumar said the Hindu community had sought protection from police after receiving anonymous calls threatening them with “serious consequences”. Sindh police Inspector General Mushtaq Shah also confirmed the explanation for the incident and the casualties. Hindus make up less than two percent of the population of this Muslim nation of 175 million people. A three-day mourning is being observed in Sukkur and adjoining areas against the murder of three Hindu doctors in Shikarpur district, reported Express 24/7 on Tuesday. Following the incident, the SHO of Chak police station was suspended while the head constable was arrested on the directives of SP Shikarpur Junaid Shaikh. Ten people were also arrested in different raids on the directives of President Asif Ali Zardari and Sindh Home Minister Manzoor Wassan; however, no case has been registered so far. The President of Pakistan Peoples Party (PPP) Karachi division Syed Najmi Alam, General Secretary Saeed Ghani and Information Secretary Latif Mughal strongly condemned the killing of the doctors. They demanded the government and the chief justice to take notice of the targeting of Hindus in parts of Sindh. 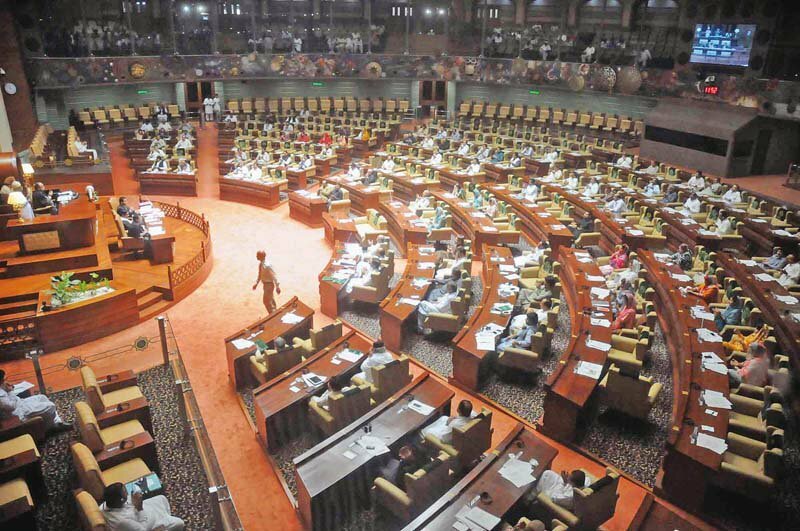 Earlier, Sindh’s religious minorities decided to take matters into their own hands and form a private body as a united front to represent themselves before government officials. The group decided they have faced enough injustice and plan to raise awareness about minority rights within these communities. The kidnapping of Hindus have been on the rise, especially in the province of Balochistan where at least four Hindu traders have been kidnapped in the past 30 days, while Basant Lal, a paint shop owner, was was abducted while on his way home to Saryab Road from Liaquat Bazaar on Friday. Members of his community stage protest. Some believe there is no concept of legal separation in the religion. Keys have been handed to custodians of Goraknath Temple. Minister Jay Prakash Lal, addressing Balochistan Assembly, says a Hindu trader was kidnapped 15 months ago. These Muslims are a curse on this country. Very sad and unfortunate.. The culprits should be brought to justice. Indians just got another opportunity to bash Pakistan but before they do that they should read the entire story and see that the government is after the culprits. If they are able to digest this fact then they should ask themselves whether their government would and have taken similar actions when minorities have been massacred in India. This does not mean that we condone this type of violence, we are only saying that look in your own backyard before you teach us minority rights. Dear ET, please publish the real background behind this incident. You can find it on the website of dawn news. Good going Pakistan!! At this rate you will finish the minorities completely in another couple of years… And you won’t have any other religions left in Pakistan to hate.. Then you will start hating your self with even more vengeance than today and out of guilt will then get into more and more denial and finally into a state of Collective psychosis.. This is intolerable , why some people will loose their lives just because they follow different religion from us.I’m not a greater human rights activists than Miss Asma Jehangir, but few has been done from her side in this regard. I am sure the guys enjoying the dancing would have escaped and innocent doctores got killed. Sadly,our society has progressed towards increasing bigotry and intolerance.Those who don’t fit an extremely narrow definition of what it is to be a good person,are relentlessly and violently persecuted.Gays,ahmadis,hindus,christians and atheists,all face horrific discrimination and intimidation in our society.forget the mullahs,our average people are so pro-violence against gays,atheists and non-muslims that such instances of violences are no more a surprise. we have got to stop being so hateful and intolerant of those different from us. Very sad! its intolerable, why should anyone loose his life just because he or she doesn’t follow our relegion.But first we must not believe on reports that their killings were result of a religious hatred.It may be something else, as family feud and enmity between clans is a chronic problem there.But this is a fact that there is no rule no law working in our country and criminals are regarded as heroes. Lawlessness,no punishment to criminals , might is right, no increase in literacy rate, this will sure lead this country to disaster.This will surely ignite Bal thakuray across the border. So terribly saddening. :'( I consider Pakistani Hindus to be just like my brothers and sisters, like every other Pakistani. We are ONE society. Shame on those who are killing their own!! Shame!! This is absolutely terrible. The Sind police is a waste of time. This is just wrong!.The government should ensure complete security and safety of all especially minorities. Our politicians shout if one Muslim is killed in Kashmir and the media conduct useless and biased serial discussions, while no body shed tears when our minorities are butchered in broad day light. Judges will not register su-moto cases cause they think these are small matters. The whole world curses this nation for all the evils supported and protected by the people and the government. & for what it’s worth, i am sorry..
coz we couldnt take care of you..
AND that’s how we give Eid’s gifts to our minorities. Sad, the innocent people died. I hope that they would get justice and such things won’t happen again. Thats really really sad. My sympathies with the families of the deceased families. Allah save Pakistan from such bigots and molvis who teach hate. Killing of three doctors who were saving lives and could have saved a number of lives is such a hateful crime that must be dealt with severely. Dancing with a Muslim girl! Whole Ummah is dancing on the tunes of so-called kafirs, why these assets who could save lives and humanity! A land with no rights for minorities. Makes me ashamed and angry to call myself a Pakistani. My prayers are with the family of the deceased. May Allah do justice and stop these terrorists. What a shamefull act. this should be investicated. It simply indicates that we are nothing but a lot of Savages! Democracy cannot help us improve. We need rulers like Umar ibn e Khattab, Hajjaj bin Yousuf or from the Subcontinental model; Juna Khan Tughlaq or Shershah Suri. “Islam is a religion of Peace” !! A muslim dancing girl and Hindu spectators,here is a question arising out in the mind who arranged this function that was become disputed and resultently deaths were happened of three persons. The news was esclated,and the muslim people began to express their reservations,some one instigated by the incident.In this way a sudden provocation was created and i would like to say hereon that it is a result of sudden perovocation. Who is responsible for that?those who arrange this function on the day called a holy day of all Muslims. The above speaks volume for the real intentions of the Sindh govt. Despite directives nobody is bothered to register a F I R ? leave alone prosecuting. What will a suo moto by an appellate court serve ? All verdicts by the courts are being binned by the govt. Indeed a very despicable act. At least next time such bigots will think twice before doing such thing. A country where no rights for humans what one can say about right of minorities. This is a sad incidence, but it seems to be due to a personal conflict rather than an attack due to allegiance to a minority faith. Having said that, it is a truth that Hindu community faces tough time in Pakistan. Among many problems that Hindus in Pakistan face today, the most disturbing are: forced conversions (particularly of girls) and kidnapping for ransom. very sad. but trust ET and its ”liberal”, ”modern” readers to take advantage of this to continue their pakistan/islam bashing. All pakistani hindus should be given indian citizenship and should be allowed to settle in India. What happened in Sindh should be condemned in strongest possible terms. Because we are not savages like neighbors to the east where Muslim and other minorities have no say in any matter. When thousands of sikhs were slaughtered no ahensa loving hanuman came forward to defend thems. Now thousands unmarked graves are being opened in held Kashmir where bodies were dumped without a trace and what happens to Muslim there is well documented. Here the highest officials of the land are making sure that the justice is done. We love our brothers and we should waste no time to make sure culprits are brought to the justice. Neighbors to the East dismember a part of our country and still accuse of being terrorists and have terrorized muslims and state is part and parcel of this genocide against minorities in that country. Yes Islam is a religion of peace.so you are in peace,and why not every one? let me explain .Human beings are not angels, so you can expect something inhumane from them,like hitler like serb armies, like halako and changez khan like potpol,sorry if the spelling is wrong,and many others,that doesn’t necesaarily mean that they will not follow a religion, they will surely have a religion, but it is not the religion that teaches them to kill others, it is the evil within them.and there are rules religion teaches every one to keep evil at bay from them its up to us how we follow the teachings and please dont blame any religion for any act by criminals. Really it is very shameful for we all, we people don’t have authority to kill some one ,even though we can wait for a while for the decision of police ,those person who had done this injustices they can never be happy and soon they will be punished by ALLAH ALMIGHTY ,we people are praying for there family……..
stop trying to hang out the victim here! when truth is being written about the conditions of the minorities in Pakistan, its not considerd as islam bashing, u drama queen! its muslim like u who refuse to accept the truth, thats why there is no hope in improving the lives of the minorities as muslims like u turn blind eyes to such incidents! Bravo, enjoy all your freedom with ur muslims brothers/sisters in pakistan and everywhere but DO NOTHING FOR THE MINORITIES! It doesn’t justify the killing! What a dead society we are, Was that an issue why these boys brought a muslim girl for dancing? huh! aren’t the muslim boys/mens don’t go to do these sort of stuff? They do! for all type of dancing, for girls and other funny things. Isn’t it more disgraceful being a muslim? What a miserable culture and society. I think the only way out the self destruction towards which pakistan is headed is if the ordinary people of pakistan abandon the desert religion in large numbers and reconvert back to the original religion of the land, sanatan dharma. Social reform will never be possible as long as the desert religion is the ideology of the land. Its time to come back to your original roots, o people of pakistan. And getting rid of American armed forces in Afghanistan and their aid will solve all of our problems?…..no Sir, we will have to cut the head of the Serpent called “Religious/Cultural Intolerance” that breeds extremism and instigates such acts of violence which are overwhelming our society. You have every right to put forward your opinion, but I strongly admonish you to refrain from using any kind of derogatory term for deity/saint/prophet of any religion. I am heartened that ALL pakistanis on this forumn have expressed disgust at this. This is the true voice of most pakistanis but the unfortunately a vocal, violent and bigoted extremists are running the nations’s agenda. ‘All it takes for evil to triumph is for the good to stay silent!’. some people always want to hate others for their daily livelihood and existence, today, those who are stranger to them are victims and many are happy as they are strangers, but tomorrow, they will do the same against their own people and finally against themselves also. The way minorities are treated in Pakistan is utterly disgraceful. Might as well drop ‘Islamic’ from ‘Islamic Republic of Pakistan’ as all this nonsense is doing nothing but bringing bad name to the religion of Islam as I know/follow it. Hope my Hindu brothers will rise above it all and bring this all to a peaceful resolution. My condolence to the family of the deceased. Islam might be a religion of peace, but its definetly not a tolerance religion, as islamic boundries are very small, so very less tolerance as well.. Killing a Doctor is pretty much equivalent to killing THOUSANDS. It is not hard to imagine how many people they could have saved over their lifetime, ironically, without looking at the religion of their patients. When I think we have sunk to the lowest of the lows, we go lower. No words are enough to condemn such horrible acts of violance against the peaceful civilian minorites. When would we stop praying and telling mere worlds like RIP and stop these barbarians and bring them to justice. My heart goes for the families of these innocent victims of hate crimes only because of their religion. Yes as if they wouldn’t have been shot if they were just Muslims from a different tribe who were accused of bringing a girl from the other tribe. Inter-tribal shootings and violence are commonplace in interior Sindh. I know landlord families from interior Sindh who say that if they go to the closest city to their village, like Larkana, they can’t even get out of the car to go to a store out of the fear of getting shot by a rival tribe (yes and these are Muslim families too not Hindus). You have paired Hajjaj Bin Yousuf with Umar Ibn Khattab. Hajjaj was known to be a cruel person who was intolerant and a trouble reason. That was one of the reasons that the Khalifa posted him as governor of Basra to get him out of the way. The Ghairat Brigade was not perturbed when this Muslim dancer danced in front of na-mehram Muslim men, but they simply couldn’t tolerate a Muslim girl dancing in front of na-mehran Hindu men. Once again the victim were victimized just because they were non-Muslims. You are admitting it that Islam is a religion of peace and with that you have concerns that it has limited tolerance boundaries, What do you mean that?, had there been any intolerance in Islam it would have eliminated from the world hence half of the world is Muslim. Isn’t it enough for you to understand religion.Listen your mind is yet not broad enough to understand religion .Religions always face chalenges always fight evils,do you believe in evils ? It is not the religions that dont have tolerance it is the human beings themselves who sometimes fail to act on true teachings of religion .You cannot blame Islam for intolerance. What kind of Muslim are you blaming your religion for intolerance and still tagging a muslim name, isn’t it a hypocrisy.and if you are not a Muslim than you have the liberty to utter every thing you want. My fellow Pakistani people are really living in a fool’s paradise. This happens every day in rural sindh where honor is every thing. Just because the deceased was a Hindu, you are all making hue and cry. This is not a systematic genocide. I have a lot of Hindu friends who are studying abroad on Pakistani government’s assistance. im a pakistani christian leme open up. In 1953 in the Ahrar Ahmadiya conflict took place Ahmeids were butchered. in 1971 we blames East Pakistani Hindus and we killed many. In 1973 minority institution we nationalised. In 1984 Ahmadiya act was made. In 1992 Christians in Shantinagar near Multan are killed, no investigation, In 2007 Gojra many killed noaction, In 2011 Gujranwala many killed no action. I just mentioned a few incidents. Many fake blasphemy cases made, is judges support they are killed. These are a few incidents open your eyes. Pakistan in no way has been better. if u claim that islam is a religion of tolerance: then plz answer me the follow questions: if one of the question u answers with NO, then islam is not a religion of tolerance..
is music allowed in the Islam? is shaking hands with a non-mehram allowed? are women muslim allowed to travel without a mehram? are non-muslims allowed to marry a muslim girls/boys without converting to the Islam? are people who are not satisfied with islam allowed to leave Islam without getting death penaly or punishment? are non-muslims women allowed to wear skirt in an islamic country? are non-muslim allowed to becomes president of an islamic country? what rights do liberals/seculars/atheist/non-muslims have according to the islam? what rights do gays/bisexuals/lesbians according to the islam? Mr Jinnah always dreamed of a secular Pakistan with equal rights to all the citizens irrespective or religion or region. But this is clear disrespect to the Father of the Nation. A person is pakistani and religion is a personal choice. Both India and Pakistan have failed to create a state dreamed by our freedom fighters and forefathers after independence. Shame on us . Both countries lack honesty , integrity and basic values in all spheres of life. Countries like South Korea have grown into developed economies which gained independence after us.It was all because of the importance of ethics they associate rather than religion . Do you want Islam or not?If the answer is in “No” you are a sinner or out of Islam,very good. Now tell me something.There are three great prophetic religion in the world, Islam, Christianity and judaism.All messengers sent to preach from the same God. Give me answer of my only one question Why you believe in any of the above religions.? If you are Godless than end of conversation. What if muslim guys had arranged such a party? wasn’t it allowed? why? If you are asking a rigid, bigot, uneducated, nonflexible cave man then answer is no for all of your questions and if you are asking a person who believes that Allah has asked to explore all and every horizon that is in the earth and in the sky and don’t create fitna by dividing this Ummah then it is yes. What is opinion of murderers of Islam, is not hidden that can be checked from any madrassa. Pakistan as country is messed up, now the people are killing because you are a non muslim, is this what Islam taught us???????????? These culprits must be brought in the court, more ever this issue might create chaos and hatred among Hindus and Muslim brothers.This religious intolerance is increasing day by day in interior sindh, my Hindu brothers are being kidnapped, abducted and tortured day by day, if govt will become unable to handle this issue then unfortunately we have to take law and order in to our hands. “You may belong to any religion or caste, you all are Pakistani and equal citizen of this state.” said by The Quaid-e-Azam, the originator of Pakistan after the creation of Pakistan. The injustice with the minority is not new and surprising in Pakistan. It has been happening since the creation of Pakistan. Some days ago, the assault on whole Hindu community occured in Pano Aqil a small city in Sukkur Division of Sindh Pakistan. The authorities need to take stern action against those who committed sc=uch heinous acts and safeguard the rights of the minorities as they are also Pakistani and they have right to be treated fairly. The news was exceptionally discouraging and highly disappointing.It was an unfortunate and exceedingly deplorable happening. Imagine, there are number of different communities living in every country. Pakistan is no exception to it. Every sensible country,however, take advantage of these diversified forces for the ultimate good of the country itself but some segment of our society, tries to adopt an undesirable course of action. Certainly, that segment is simply in minority not in majority. Majority advocates peace, prosperity and progression even ignoring individual differences. Pakistan as a whole is composed of well educated, tolerant, accommodating, well cultured and a society which does look towards coexistence and acceptance of diversity. Hence the incident cannot be taken as representation of collective thinking. Therefore, no body has applauded the unfortunate happening rather every body has condemned it, raising the collective voice against brutality and intolerance on the part of few. Pakistanis want peace, stability, tolerance, open mindedness, cooperation with world community for the service of humanity. I feel the education is a key mover towards the full accomplishment of these objectives which should remain our focus and a dream to realize. brutal killing of innocent Lawyers, Sindhi Hindu Doctors, reporters, even public figures is the result of weak judicial system of Pakistan; the only way which leads to peace and prosperity is to strengthen the judicial system of Pakistan where every body may get justice without discrimination, where every body may be called for his irresponsibility, corruption and wrong doings. we have witnessed horrible incidents, assassinations, killings and murderous assaults over innocent people from Karachi to Kashmore, it is because of corrupt police, politically divided law and enforcement agencies and incredible Judicial system. We can not stop such killings without justice………………..
i knew u will avoid answering my questions…. if that is the case, then all my questions shud be answered with YES, but its unfortunately a big NO. So no tolerance for minorities/seculars/liberals/atheist/gays/lesbians etc..
dont you mean lawyers, is that a typo? Shame on us!!! The Religion should be for the greater good for the society not to kill people. Pakistan is completely tortured by the religious extremists. In India, muslim population rose from 3% to 13% as of now..Its reverse in Pakistan..So you should be the one looking in to the mirror ask yourselves what have you done to protect your minorities..FYI, Indian muslims even get Haj subsidies. its very clear u have no answers to my questions! u are certainly avoiding my questions! Tolerance means that every citizen be it of any country should be free of thinkinkg, free of following any religion, should be free to do what he feels/likes even when its against the marjority religion! i dont understand any single muslim,why do u think that only muslims should have freedom or rights be it in a secular country or islamic country? why do u guys think u are superior to non-muslims/non-religious? why do u guys think that islam is the best way of life? no non-muslim is forcing any muslim to follow rulez based on Bible, Gita or what so ever, why are u guys every time forcing any non-muslim to stick to islam rules? WHY?! FOR HUMANITY SAKE,CONSIDER ALL HUMAN BEINGS AS HUMAN BEINGS IN STEAD OF TREATING THEM AS AN ANIMAL! LEAST BUT NOT LAST, muslims have more freedom in western countries than all non-muslims in islamic countries and thats a fact, muslim like u should feel ashamed! @CK: Your argument is fallacious as it will only degenerate into blame game where no one would be willing to take responsibility for his/her own actions. Each and every act should be considered and dealt with on its own merit (or demerit). “Islamic country that is absolutely secular, tolerant and peaceful”? Sounds like an oxymoron to me. Peaceful? For whom? “Tolerant”? How do you think minorities feel with its blasphemy laws? In a relatively short history of the country which period are you alluding to? @Acorn Guts: Hindus are vastly outnumbered and threatened in a society that considers them idol worshiping infidels. It would be necessary though difficult for them for the silent majority Muslims to rise against hatred. If you have gone through all my comments you will find your answer.It seems you have some rancor against Islam because being an atheist who does not believe in any religion and that any gods exist, and are godless people. you have nothing to do with Islam or with religions then why are you bothering to know whether Islam is tolerable or not.Leave Islam ,good or bad, for muslims .You like to find faults in Muslims and Islam and that satisfies you, because you fled this country.If In every religion people are liberal and fanatic ( Ireland,catholics and protestant riots for decades)Germany ( killing of 6 million jews by Nazis) America ( Killings of black by white, making them slaves)Bosnia ( killing of innocent muslims by Christian armies) India ( slaughtering of muslims in the name of religion by fanatic Hindus) Shame on people like you who enjoy blaming and targeting Islam only.Period.Your questions are merely frustration of your mind. See i knew u will say something like this, like i am bashing islam, i asked u many times to answers my questions wich u didn’t! and wahts more, its muslim like u who dont and want to accept the truth that in an islamic country there is no freedom for non-muslims, why is it hard for u to believe or to accept it/ why is it hard for u to accept there are many people from all walks of lives with different lifestyle, different thinkinng, why are they not allowed to enjoy their lives according to their wishes? Why forcing them to agrree with ur opinions? and look at my comments, a lots of people agreed with my comments compared to you! and yes offcourse i have fled away this country coz according to your religion of tolerance i would have face a death penalty for turning atheist! and yes wether u can accept it or not, fact remains there is no freedom for minorities in islamic countries! Just trying to match the hindu nationalists. I refuse to recognize today’s Pakistan as the lovely, essentially secular country I grew up in. The three victims of Zia’s false and fascistic “Islam” join the long list of martyrs Pakistanis of all faiths and persuasions will always mourn. May their souls rest in peace. Though I am very sad about this tragic loss of lives, I am delighted to see the voice of many pakistani muslims against this brutal murder. May God give peace to everyone. A man is still in a cave, rigid, and uneducated if he views Islam through the eyes of Madrasa, and doesn’t believe in his own study of Islam, and doesn’t resist the wrong preachings and interpretations of Quran,and hand over the power to madrasa for ruling and then moan and blame others. ,there is no concept of madrasa, maulvi and maulana in Islam. There is a difference between animal and human beings, that’s why religion imposes some restrictions on their followers.whereas animals are free to do whatever whenever wherever they want. no accountability.No one can define the “wishes”,.you can stretch it to liberty and wants. you can transform it to demand, the initial stage is “wish”.Like in america and europe men can marry men, women can marry women. and it is possible tomorrow they will ask for married couples to exchange spouses, because it is human nature to taste a “chgange”,and even they can go beyond that to demand sibling marriages.who bother for “date’ searching outside! this may suit to atheists world over searching for tolerance in Islam. You are probably right on some things but what’s the concern with America or Europe!!! If you are concerned that they are not practicing religion or don’t have clue about religion then you are absolutely wrong. What I know is that some people are killed by some very ignorant, very wrongly interpreted, distorted and practiced religion and culture.